Distance - The distance between any two points is the absolute value of the difference of the coordinates. 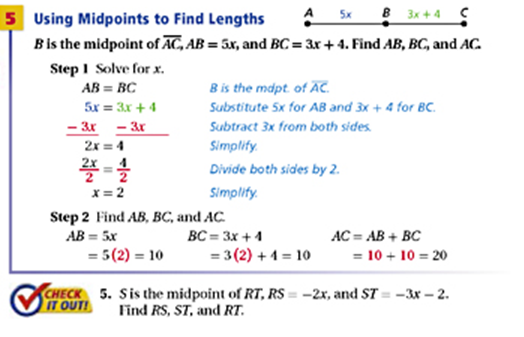 Length - The distance between two points. 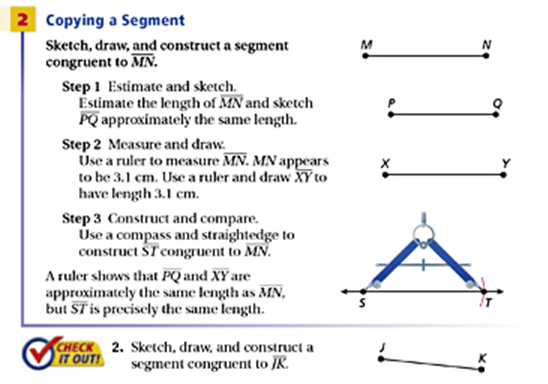 Congruent segments - Segments that have the same length. Coordinates - A point on a grid or graph. Construction - A way of creating a figure that is more precise. 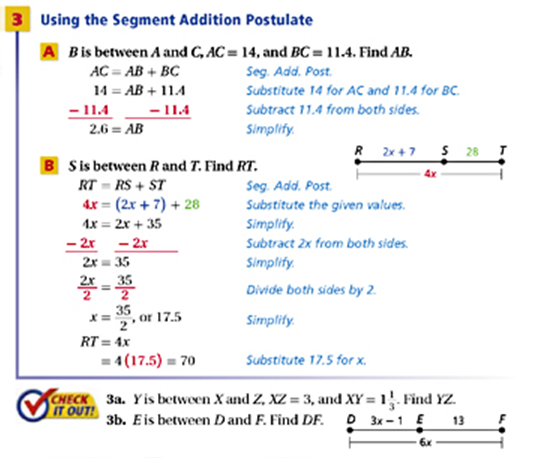 Midpoint - The point that bisects or divides the segment into two congruent segments.